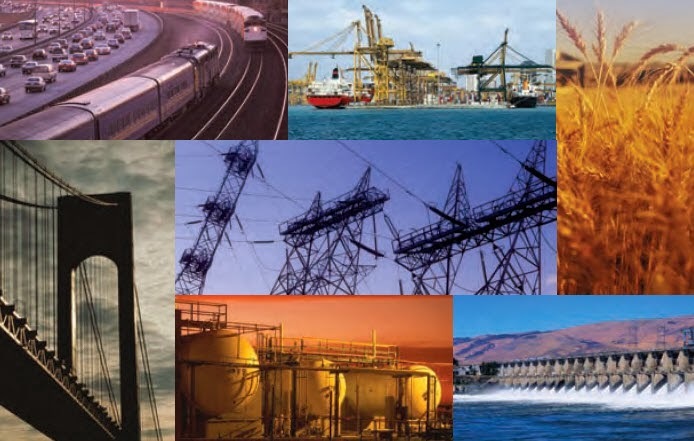 Infrastructure Security Blog: NIST CYBERSECURITY FRAMEWORK - COMMENTS DUE FRIDAY 12/13! NIST CYBERSECURITY FRAMEWORK - COMMENTS DUE FRIDAY 12/13! A few weeks ago I prepared a blog for Tofino Security summarizing the key aspects of the DRAFT NIST Cybersecurity Framework. I guess I hit the target because the blog has been posted on a few other sites and referred to in some Tweets. Anyway, as one of my readers, my original submittal for the Tofino blog is posted below. But, don't forget, NIST has requested comments on the Cybersecurity Framework by Friday, December 13th. You may have heard a bit of buzz in the US national and even international press about the release of the Cybersecurity Framework Draft from the US National Institute of Standards and Technology (NIST). However, you may not know about its background or what it may mean to you as a control systems manager. As such, this is intended to give you a high level overview of the genesis of this document and give you some points of reference. As we realize more and more everyday our national infrastructure – in Canada, the US or any country for that matter – is very important to our economies as well as our own national defense. Because of concerns over continued cyber attacks on US national infrastructure – such as the electric grid, water systems, transportation networks, banks/financial institutions, critical manufacturing, etc. – President Obama issued Executive Order 13636, “Improving Critical Infrastructure Cybersecurity,” on February 12, 2013. The EO also called for development of a voluntary Cybersecurity Framework to provide a “…prioritized, flexible, repeatable, performance-based, and cost-effective approach” for assisting organizations responsible for critical infrastructure services to thus manage cybersecurity risk. As a follow up to the EO and PPD, NIST was assigned responsibility for development of the Framework in collaboration with industry feedback. The Framework is intended to provide guidance to an organization on managing cybersecurity risk. A key objective of the Framework is to encourage organizations to consider cyber security risk as a priority similar to financial, safety and operational risk while factoring in larger systemic risks inherent to critical infrastructure. In other words, cybersecurity risk and considerations need to be included in the day-to-day discussions at your company or organization as you expand your business, build new facilities, install new equipment and hire new people. First, the EO instructed NIST to be the lead in developing the Framework. As such you can find the Framework DRAFT document and supporting information at www.nist.gov. shall be consistent with voluntary international standards when such international standards will advance the objectives of this order. So, What Should You Do with the Framework? 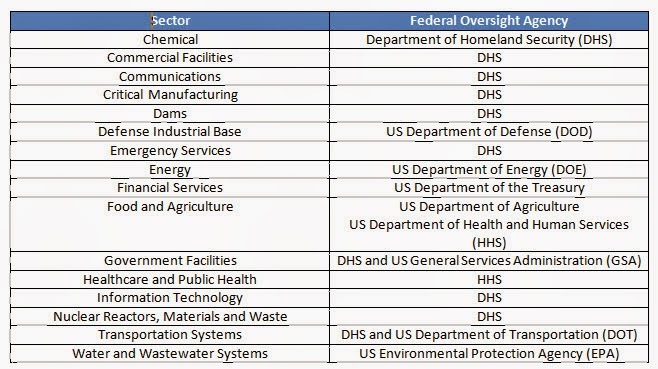 First of all, take a look at the list of the critical infrastructures listed above. Does your company fall into any of those categories? If not, is your company substantially reliant on any of those key infrastructures for your success and even existence? If the answer to either is YES then I’d suggest you take time to read the Framework as it stands and figure out how you can apply it to your current cybersecurity risk management. Secondly, acquaint your Executive Management and Board Members with the Framework. Give them a sense of how your company stands today relative to the Framework Implementation Tiers listed. Use this as a means of highlighting your organization’s “…cybersecurity maturity level…” and if you aren’t at the top, use it to highlight the resources (i.e., people, time and money) you need to raise your game. Thirdly, take a hard look at the Framework and even “test drive” it as it stands. Be sure to provide comments back to NIST as described at their page “Request for Comments on the Preliminary Cybersecurity Framework.” Comments are requested before December 13, 2013. When you read the draft Framework, recognize that it is not a “checklist” or a simple “compliance” item to be fulfilled. Instead it provides a set of performance objectives for your cybersecurity risk program to achieve for your prioritized list of key assets. But also, it is not a “how-to” on building a security program. So, even for our Canadian friends, be sure to take time to look the Framework over.